WASHINGTON — The structure of North America's manufacturing networks will be on the line when the first round of negotiations to rewrite the North American Free Trade Agreement begins here this week. The central showdown is expected to revolve around the amount of regional content products must contain to qualify for duty-free status, the so-called rules of origin. How that contest plays out will have profound implications for the auto industry. Officials in President Donald Trump’s administration have pointed to stricter rules of origin as one way to address reducing the US$60 billion bilateral trade deficit the United States has with Mexico and shifting more production to U.S. factories. In the auto sector, 62.5 percent of a car's content value must come from the United States, Canada and Mexico to avoid duties when shipped across the border for final sale. The White House has signalled it wants to raise the regional-content threshold, and possibly even carve out a minimum requirement for U.S. content, to keep more local work and protect against greater use of imported Asian parts. Automakers and free-trade proponents acknowledge that NAFTA deserves to be updated after a quarter century to reflect new economic realities, but warn that even minor adjustments to the rules of origin could upset the carefully constructed balance of economic interests among the United States, Mexico and Canada. 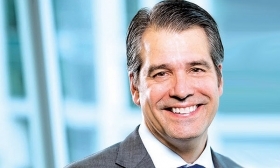 "We are a seamless manufacturing platform, and it would be extremely difficult to unwind that," Association of Global Automakers CEO John Bozzella said during a forum here last week. "You will create a big advantage for other manufacturing platforms around the world. We have to be very careful that we don't upset that balance between global competitiveness and supporting U.S. production." Volpe wasn’t surprised by anything the United States said in its NAFTA wish list when it was released in late July. NAFTA has the highest regional-content threshold of any automotive trade agreement in the world, industry representatives say, but manufacturers have many options for tallying the value-added content of vehicles produced in Mexico, Canada and the United States. Under the "roll up" method, each component is evaluated for the amount of material and labour supplied within the trading bloc or sourced outside the region. Parts determined to be 70 per cent NAFTA origin, for example, get rounded up to 100 per cent, while parts that fall below the content threshold are counted as zero. The "roll up" method exists to reduce the administrative burden of crunching the added-value numbers for thousands of parts in a vehicle. In practical terms, this pass/fail approach means many vehicles that qualify for duty-free status actually have less NAFTA content than advertised. But the rules as they are have helped NAFTA generate massive U.S. investment by foreign automakers, tens of thousands of new jobs and record high auto sales, according to industry officials. Domestic car companies and suppliers have also been able to rely on lower-cost Mexican labour as part of their production mix to compete with Germany and Japan, which have access to cheap labour in Eastern Europe and Asia, respectively, experts say. If companies are forced to buy more expensive parts and supplies in North America, they would spend resources re-engineering their supply chains, which ultimately could become less efficient and make vehicles more expensive. Higher vehicle costs would depress vehicle sales in North America and make U.S., Canadian and Mexican exports to third markets less competitive, trade experts predict. Another potential consequence of higher content requirements is that manufacturers might decide that the duty savings of sourcing within North America aren't worth the administrative costs of complying with NAFTA terms. Instead, they may opt to pay the fairly low tariffs under international rules for most-favoured-nation trade status. In the case of finished cars, the duty would be just 2.5 per cent in the United States, for example. "The Trump administration, which favours cutting regulations and not adding to them, should be more interested in streamlining rules of origin requirements than making them more complex," she wrote. Auto suppliers would argue for simpler rules, but whether they want them loosened or tightened depends on where they fall on the supply chain. Tier 2 or 3 suppliers operating more locally might benefit from tighter rules of origin, while Tier 1 suppliers with global operations would prefer the flexibility to include lower-cost, non-North American content, such as electronic components from Asia. Uthus disputed that the auto industry is violating the spirit of NAFTA by including components from Asia within parts that are treated as North American and duty-free. "When you look at the numbers, only five per cent of what we consume in the U.S. for auto parts comes from China," and the import figures are similar in Mexico, he said. "So, this idea that the rules of origin allow this circumvention just doesn't exist." Besides, industry officials say, parts such as electronics are made almost exclusively in Asia, and there needs to be some room to qualify them as NAFTA-compliant to maintain cost competitiveness. The trick, experts say, is lining up regulations with economic realities in a way that doesn't kill efficiency. The Trump administration initiated the NAFTA talks to achieve more favourable terms for itself, but that is easier said than done, warned Eric Farnsworth, vice president at the Americas Society/Council of the Americas. "NAFTA is like a sweater," he said. "If you start pulling on that string, or that one provision you don't like, and your partner says, 'I've got this concession I want,' all of a sudden you're wearing half a sweater."